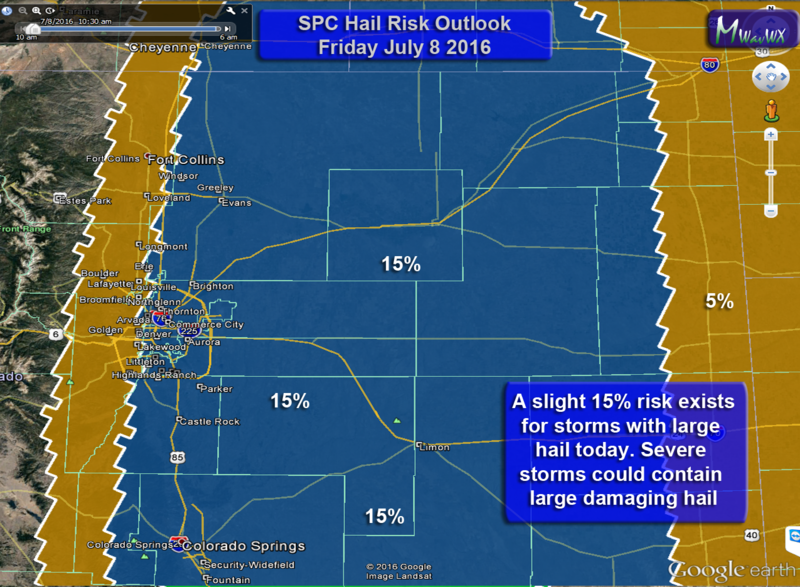 A severe weather threat will re-establish along the front range for Friday with large hail being the primary threat. 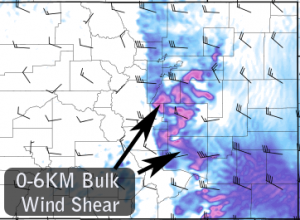 A shortwave trough moving through this morning has increased winds at the surface (notice how breezy it was this morning) and established upslope along the front range. Initially models showed the primary severe threat in Eastern Douglas County and into Elbert County this morning, but latest model runs show a more widespread storm threat over Douglas County, Elbert County and El Paso county when storms initiate. Additionally a severe weather threat will exist along the I-76 corridor to the South of the highway. Please note, storms will be spotty and not all areas will see severe storms. As a rule of thumb, areas within the slight risk area (yellow on the map below) have a 15% chance of seeing severe weather. This is a low probability overall but a notable one. A weak to moderate upslope regime along the front range will allow moisture and instability to establish along the front range. The accompanying Southeasterly winds may create surface boundaries which can promote larger hail and the possibility of tornadoes. Modeling shows 0-6km (combination of low level and mid-level shear) to be in the 25-35kt range. Low level shear however is show to be quite weak, so while I don’t expect a widespread tornado threat, the possibility for a quick funnel cloud or short lived tornado is possible. This is especially so along any boundaries that storms anchor on. 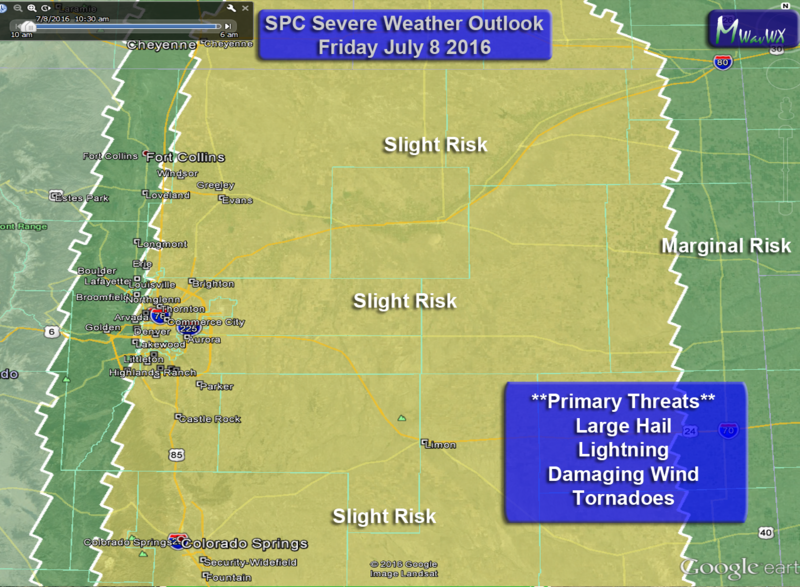 The atmosphere stabilizes after the first wave of storms, so severe weather is not expected after the initial line. Some smaller pop-up storms will still be possible into the evening hours. Keep an eye on local forecasts throughout the day, don’t be caught off guard! 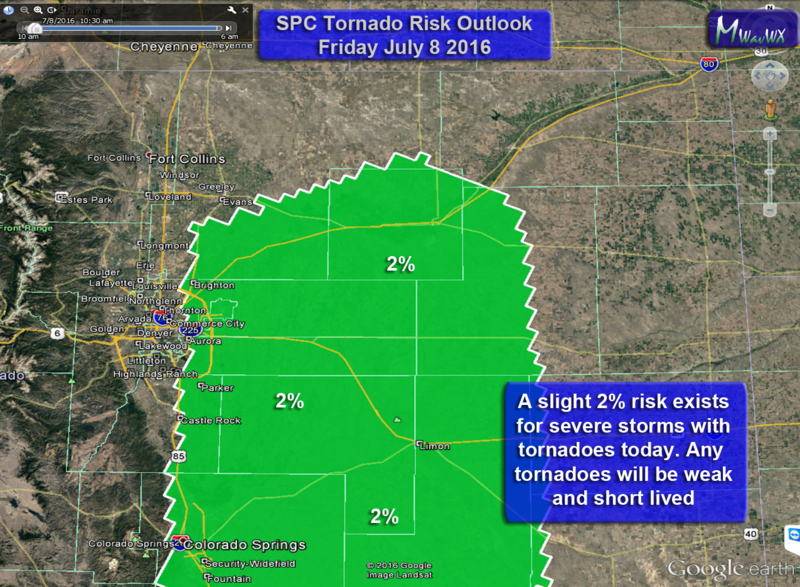 Slight chance for tornadoes today, stay weather aware! Friday looks to be the only bumpy day as far as storms are concerned. By Saturday strong ridging re-established in the atmosphere combined with Southwesterly flow across the state. 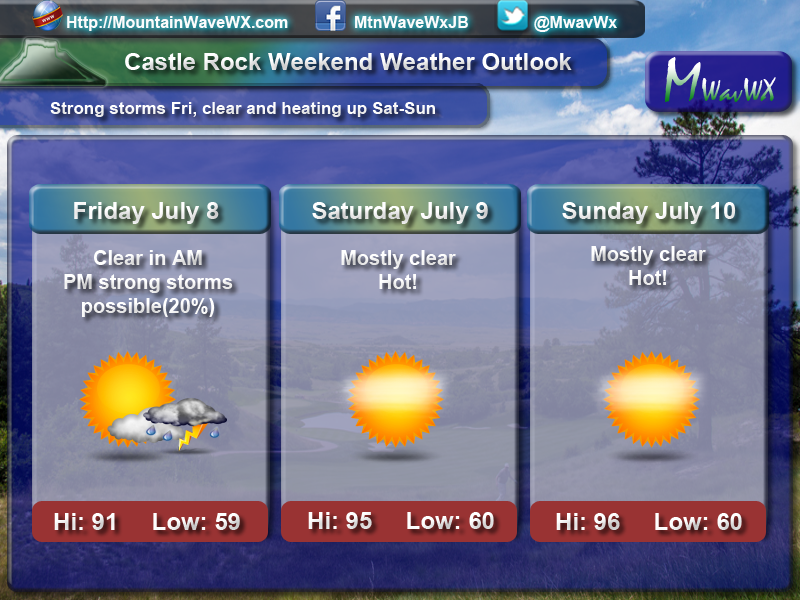 This means two things, storms will be hard to come by and it will be very warm!